Like an entire mall food court under one roof. Coffee Cartel sells sandwiches, smoothies, frappes, milkshakes, doughnuts, gourmet chocolate bars, truffles, bottled juices and waters, ice cream by the scoop (Edy's) or prepackaged pint (Häagen-Dazs), nachos, chips and salsa - and, if you can find them amid everything else on the menu, coffee drinks, which you can get straight-up or spiked with liqueurs. 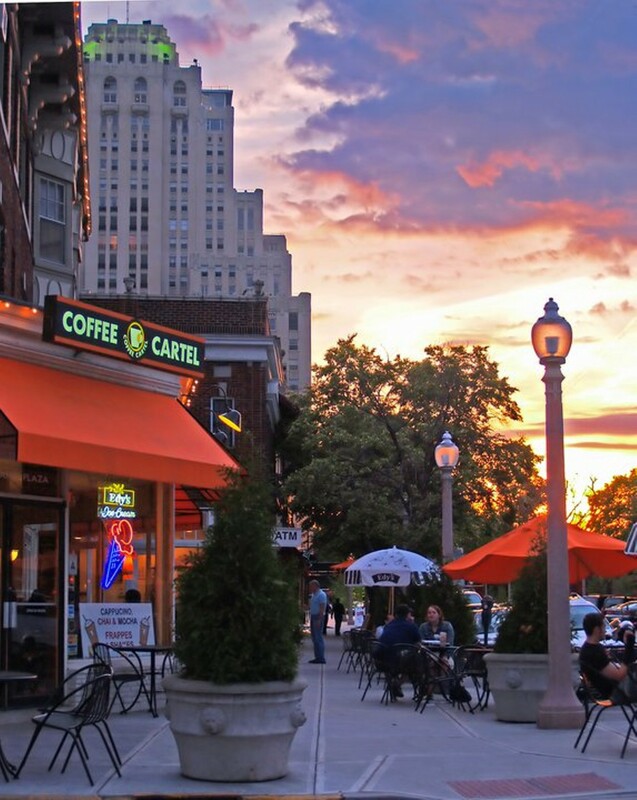 The Cartel is open 24/7, and its CWE neighbors take round-the-clock advantage of that, making the place a primo spot for nighttime people-watching.